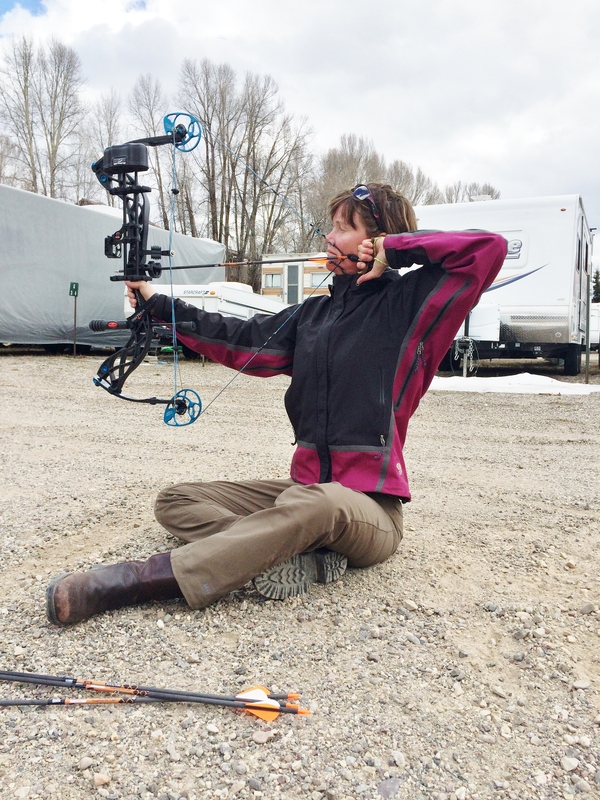 As a Prois Hunt Staff member, a Jackson Hole Shooting Experience instructor and a High Caliber Woman shooting instructor one might assume that I’ve got enough experience to sail into hunting season without a single iota of stress. One might assume I could just kick off my flip flops and slip into my hunting boots at the end of summer and hit the woods. This could not be further from the truth. 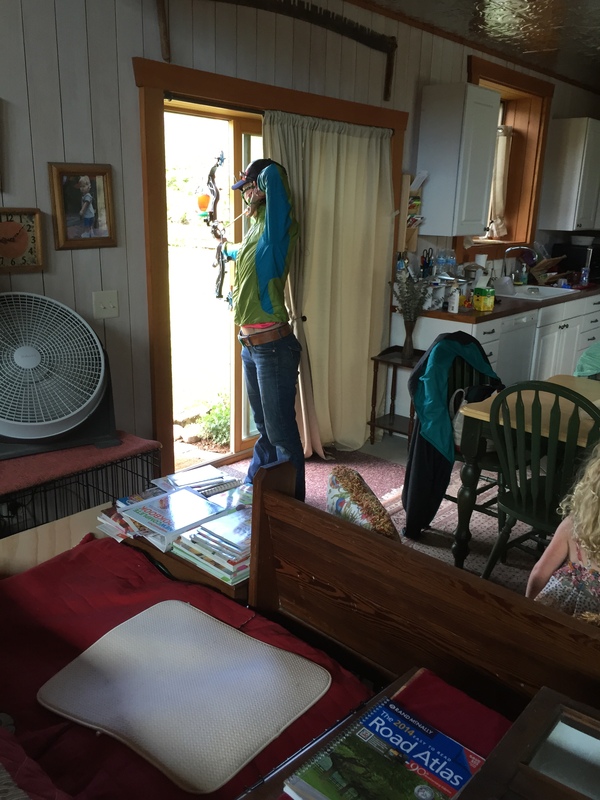 I spend my summer, not only fishing the Snake River and camping out in the wilderness, but also honing my rifle and pistol and archery skills. This is my personal “call of duty” as an ethical hunter. I had to learn this calling the hard way. When I first started hunting a number of years ago I naturally hunted off my dominant arm. I was right handed and therefore I shot right handed. This proved to be okay in many instances because I would aim for the vitals and would hit the neck 2 out of three times and instantly drop the animal. I would get high fives for these “difficult” shots but I knew in my heart and I professed out loud that IT WASN’T WHERE I WAS AIMING! After a number of misses, a number of wounded animals, and more times than I’d like to remember my husband asking, “Can’t you see it??! !” as I fervently tried to spot the animal in the scope; I finally started to question whether I should be hunting at all. Maybe I was just a bad shot. 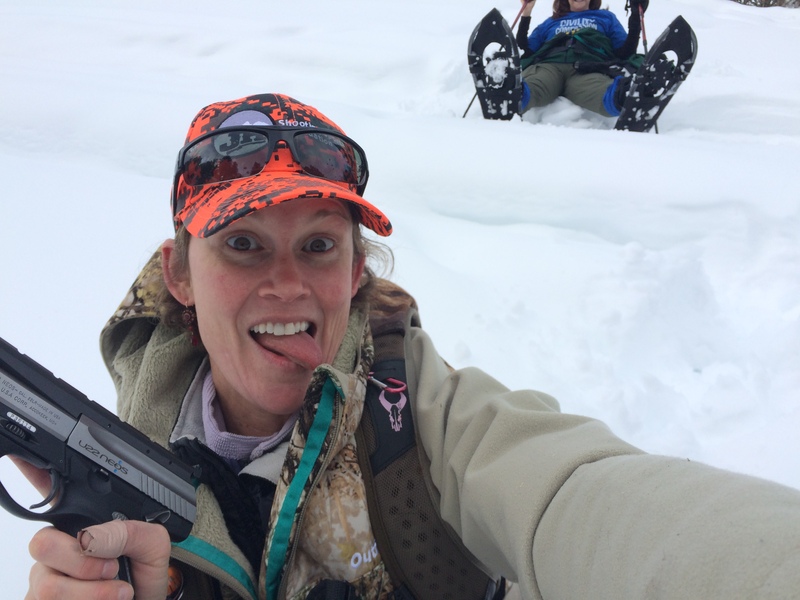 But, it was my love for the hunt and my passion for new experiences that kept me going. 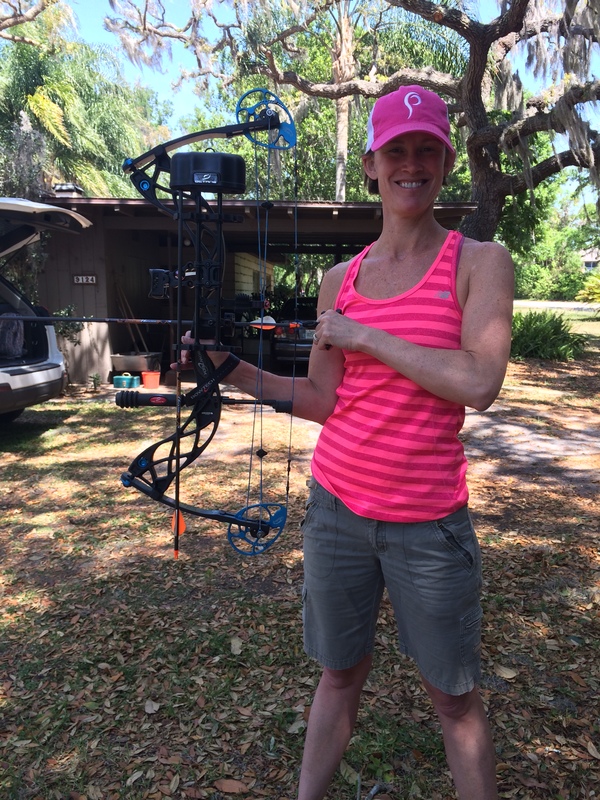 I accepted my perceived limitations and opted to hunt only at shorter ranges. As we continued our training, I felt confident shooting with my dominant eye while on the bench. Once Shepard put me through a few stress induced shooting scenarios, though, I realized I still had much training to do. I had always wondered how I could be a pretty good shot from the bench but then fall apart out in the field. The drills he created for me quickly had me out of breath and filled with anxiety; similar to a true hunting scenario. He would ask me to show up to the range in full hunting gear; including pack, shooting sticks and range finder. He would ask me to run uphill, do a few jumping jacks and then take a standing shot. He would then ask me to run the same drill again but take the time to get into a seated position. Then, I would do the drill again but take the time to take my pack off and lie prone with a pack for a rest for my gun. These drills illuminated my strengths and exaggerated my weaknesses. It made me stop to think whether I should take a standing shot and risk missing in less than a minute or to take the time to get into a seated or prone position that might take longer but ultimately would lead to a killing shot quicker. These are all things I had never considered until shooting with Shepard. These sessions with Shep have carried on with me into each summer as I prep for hunting season. I have realized how important it is to not only sight the gun in to make sure IT is doing what IT should do but also to check my own skills to make sure I am performing the best I can! After all, an animal’s life and quality of death is at stake. After training with Shep he invited me to join his team of instructors. With very few (none) preconceived ideas about shooting and hunting, I was the perfect clean slate for tutelage. I listened well and adapted my own techniques for training while I learned to train others. 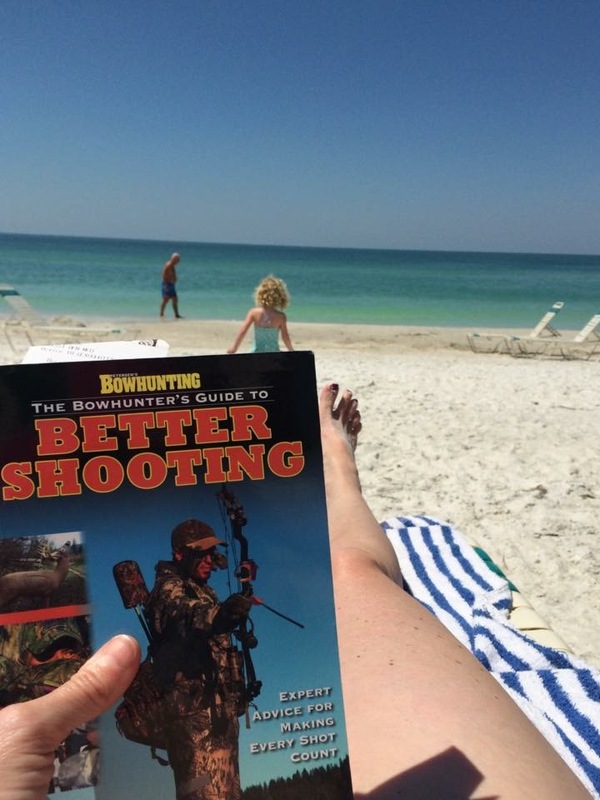 Each time I instruct a student in shooting I am also learning myself; continually reminding myself of the fundamentals many of us hunters forget to hone in ourselves. I love teaching the confidence of shooting. I especially love teaching the confidence of shooting under pressure. After all, there are only a few moments when a “once in a lifetime” big game animal gets within my sights. I know that in that moment I want to feel a little better prepared than I do after having only sent four to ten rounds down range to sight in our rifle. This year my pre-hunt training is translating to archery for me. I have a goal to take an elk this fall with my bow. What have I been doing all summer in preparation? That’s right! I have been shooting my bow every spare moment I can. After all, it’s an animal’s life and quality of death that are at stake. I want to do it right! If any of this resonates with you, if you would like to “up your hunting game” this fall. 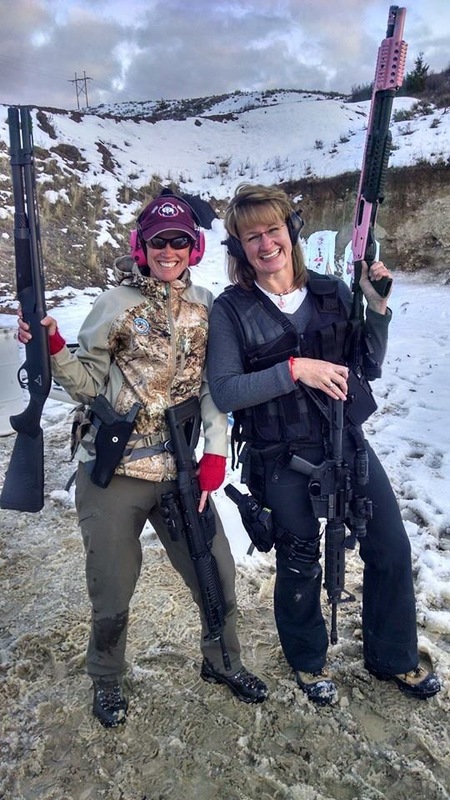 Please, give us a call at the Jackson Hole Shooting Experience and book your Pre-Hunt Training Session. We will test you in ways that you might not have considered yet. We will present scenarios that best mimic that very real moment in the outdoors when you are staring at the largest rack you have ever seen and your heart is racing and the cross hairs are jumping around like a jack rabbit in heat! We will prepare you for the real pressure of losing your range finder or your shooting sticks, shooting with numb fingers, shooting in a snowstorm that obscures your field of vision intermittently, and shooting from positions that you don’t typically use to sight your gun in. This is your season to “Up your game” with us!